TheTownCrier: "Lawful Permanent residents" - The prescription with BAD side effects! "Lawful Permanent residents" - The prescription with BAD side effects! Just ask them! Ask any amnesty pusher from Obama to Marco Rubio and they'll tell you that as soon as 11 to 20 million illegal aliens are made 'legal', everything on the streets and 'in the shadows' will be peaceful and glorious. And when it isn't, they sure won't tell you otherwise. Keep in mind, the 9/11 hijackers were 'legal'...until they weren't as they overstayed their visas, no one cared as they plotted their crimes against humanity. This is the kind of vetting the government is so proud of. The kind that gets you killed! Here's one that got under the radar. I can't find anyone who even remembers this story and when it was reported, the Jihadi's were said to be 'home grown'. Well, they sure weren't 'home born'! This government will not screen millions of illegal aliens to 'legalize them' for amnesty. This story is about "lawful Permanent residents" - the prescription with BAD side effects! Kabir was "basically a mujahid walking the streets of LA," Deleon said, using the term for holy warrior, according to court documents. "He was just waiting to get his papers. And I met him at the point of his life where he was about to go." What happened to the illegal aliens who got amnesty in 1986? THIS is an eye opener, please read it all! Only 28 percent of the legalized aliens over 24 were high school graduates, compared to 78 percent of native U.S. Hispanics; 55 percent of the amnesty adults had never eyen entered high school. Did the 1986 Amnesty actually bring benefit to the United States or did it bring undue burden? · I have interviewed personally ICE officers, in Ohio, Alabama and Oklahoma who are responsible for processing immigrants for deportation after they have served their jail sentence. All 3 offices have told me independently, 99.9% of the people they process to deport coming out of jail, are 1986 Amnesty recipients. 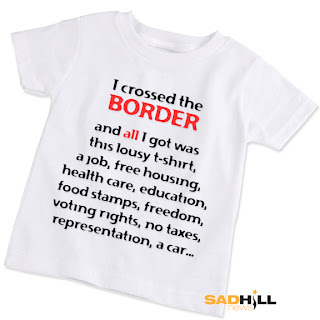 · Prison Guards in high security prisons in California, who I have personally spoken with have told me, 90% of the harden criminals in jail with life sentences in those California jails are the children of 1986 Amnesty recipients. Their parents had no commitment to the United States, and they don’t either. Their parents had no respect for the law, and they don’t either. A message from our TEA PARTY (TeaParty.org) friends! 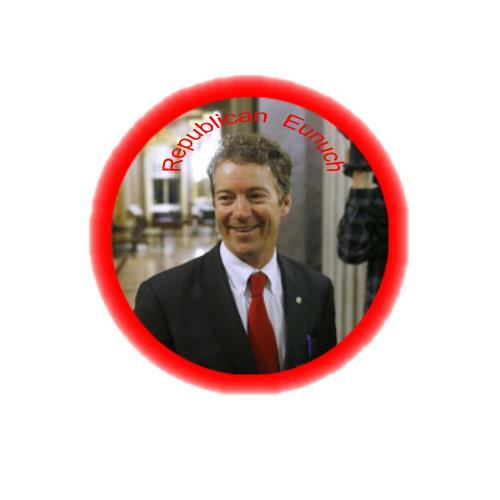 Rand Paul....he was sounding SO good until he went GOP delirious and decided Amnesty wasn't amnesty! BYE, BYE! You're disgusting. You have no idea what you are talking about. Free housing? Food Stamps? I live in a city with many Mexicans. I don't know ONE on food stamps or section 8. I could name several white people though. This is coming from a white American born female. If you don't know what you're talking about don't say anything. Also illegal immigrants pay about 2 billion dollars a year into social security and the IRS. They will never in their life see that social security money they're paying in to, and they don't claim a tax return because they can't. You're lucky you were born where you were and not born in to poverty. If you were maybe you would think a little different.The making and selling of this shirt is gross.